First response – make sure you are safe, so this means do not touch your dog. Electricity can cause muscular spasms which means if your pet has bitten a cable. As a result their jaw can end up clamping shut around this electricity cable and they may be unable to let go. The live current may still be present and will shock you too if you touch your dog, so the first step is to turn the power off at its source if possible. Also, be aware that any fluids running for the source of electricity to your dog, including urine, can conduct an electric current. So even if your pet is not directly in contact with the cable, it may still not be safe to approach until the electricity has been turned off at the mains. Turn off the electricity at its source if at all possible. If you can’t turn off the current, use a long non-conductive wooden brush handle, or something similar to move the dog away from the electricity source. Once they are properly away from the electrical source, they are safe to touch. If a high voltage supply is involved (non domestic, for example, power lines), do not approach. Call the police. Exposure to such a high voltage is uncommon but often fatal because of massive internal damage. The electrical charge can jump a huge distance, so stay well clear. Be aware that roots of trees struck by lightning have been known to carry electricity. Animals who have received a lightning strike are usually found dead, often with charring or other burn marks present. Puppies chewing electrical cables can often experience electric shocks to their mouth. Your pet’s facial fur may appear frazzled. The animal may have burns on the lips, tongue and across the roof of their mouth. Carefully open their mouth and have a look inside if you suspect your puppy may have been chewing a cable. It is not unusual to find a burn line along the tongue of puppies prone to chewing cables. They should always be checked out by a vet. Electrical burns have an entry and exit and can cause internal burns. An electrical burn may not be the most important injury and should not be a distraction. Ensure you keep checking for more serious and potentially life-threatening injuries. 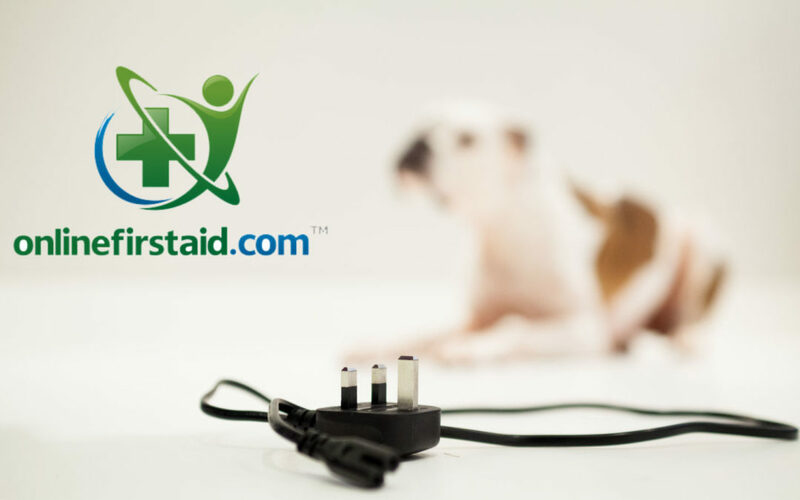 If you suspect your dog has received an electric shock? Dogs may show a delayed onset of signs so mild cases may not be discovered until a day or two later when your dog starts showing signs of pain or burns start to become infected. Therefore dogs should be monitored carefully even if they seem to recover since effects may not become apparent until up to 36 hours later. Pets showing these symptoms should be checked by a vet as soon as possible. Your vet may take X-rays to check for fluid accumulation in the chest, which can be caused by electrical injury. They may give them diuretics to help clear their lungs. Antibiotics may be given to prevent burns becoming infected. Oxygen therapy may be required. Pain management may be required if their tongue and mouth are sore. A soft or liquid diet may be required whilst healing takes place. Dogs with breathing difficulties or heart rhythm abnormalities may deteriorate suddenly during the first few days. As a result they may require a high level of care in a veterinary hospital if they are to make a full recovery. The most common cause of electric shock in dogs is chewing power cables. 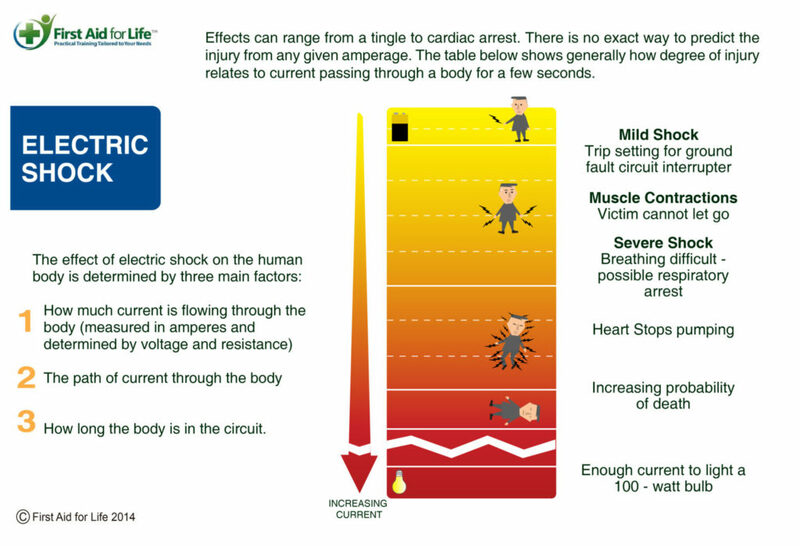 Most electric shock injuries in the home are preventable. Dogs should always be discouraged from chewing cables. Cover the cables or coat them with a bitter tasting spray. Use extension leads to run wires close to walls and behind furniture and out of reach. Get in the habit of switching off sockets when they are not in use. Offer plenty of chew toys so they are less likely to be tempted by cables.